Urgent! Urgent! Read President's George Washington's Vision of America's Destiny. The great British statesman and four times Prime Minister, William E. Gladstone, once proposed the creation of a grouping of pedestals for statues of history's most famous men. One pedestal stood higher than all the rest, and Gladstone was asked to identify the figure to be given the place of honor. Without a moment's hesitation, he named George Washington. At the Continental Congress, meeting in Philadelphia, December 1799, one of Washington's finest military commanders, the famous cavalry general, Henry "Light-Horse Harry" Lee, now Congressman from Virginia (and later to become that state's governor) upon hearing of the death of our first president, rose to his feet and with tears in his eyes spoke for all Americans for all time when he said of Washington, "First in war, first in peace, and first in the hearts of his countrymen." Many students of history consider George Washington to be the greatest man who ever lived. Certainly, he was the greatest American - a brilliant, educated, successful man who risked everything for the freedom of our country. Washington was a man of great moral character. He was forthright, honest, charitable and a gentle man of quiet modesty and proper deportment - considerate, kind and courteous. Washington was appropriately described by colleagues and writers of the time as "... straight, tall, wide- shouldered, with head well shaped, large straight nose, penetrating blue-gray eyes, a long handsome face terminating in a good firm chin, clear fair skin, firm mouth, and a commanding countenance; with speech, movement and gestures which are agreeable, differential, engaging and graceful." Most important of all, Washington was a man with a total sense of responsibility, unquestioned integrity and deep devotion to God. Among the many outstanding men of leadership in the American Colonies, Washington stood out above all. Once the War for Independence began, he was quickly and logically chosen Commander-in-Chief of the Colonial Forces. Washington had the impossible task of taking a few thousand untrained volunteers and leading them against the armies of the world's greatest empire. Great Britain was a powerful and progressive empire. Great Britain was a powerful and progressive nation with colonies and influence around the world, and she had mighty armies and fleets to defend her possessions. England could accurately boast that the sun never set upon her flag or the British empire. To add to the difficulties was the fact that the American Colonies were not united, were economically weak, had no standing army and no navy, and had only three million people, who were seriously divided as to whether or not to fight for freedom. It is not known what percentage of the Colonists genuinely supported the cause for freedom. Many of those who opposed independence constantly gave help, comfort and support to the enemy. Probably no more than 3% of the people in the Colonies actually took part in the fight for American independence. Then, as now, apathy, self- interests, uncertainty and fear prevailed among a large portion of the population. Once the Declaration of Independence had been signed and Washington's forces were pitted against the British, his army was so greatly out numbered and so ill equipped that many thought him fool hardy to even attempt to fight the most powerful nation in the world. Seldom in all of history has such a task been undertaken under such unfavorable conditions. However, Patrick Henry in his famous "Give me liberty or give me death" speech hit directly upon his reasons for hoping for ultimate victory when he said, "God will raise up friends to fight our battles for us." General Washington led his men with a passion, courage and fortitude that could come only from total dedication. When the Continental Congress did not, or could not, send the funds for his soldiers' supplies and salaries, Washington paid for them out of his own pocket. He gained and held the allegiance of his men because he was fair, firm, resolute and dedicated. Moreover, he was a devoutly Christian man who made no apology for prayer. He repeatedly called upon God for deliverance and victory in the struggle for freedom. 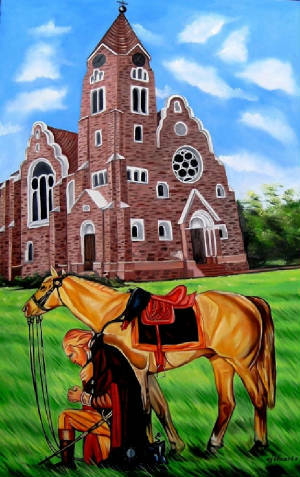 The paintings of George Washington kneeling in prayer in the snow-covered woods of Valley Forge are based on fact. He believed that God would lead him to victory, and anyone who has read his hand written letters and documents cannot help but be impressed by his reliance on the Almighty and his deep belief in Divine Guidance. Strengthened by a sense of duty and honor, driven by a love of freedom and a hunger for justice, sustained by faith and confidence in divine providence - George Washington would not fail. He would fulfill his destiny. This uncommon man would lead the colonial forces to victory, become the father of our country, be unanimously acclaimed our first President, and set the course for what was to become history's greatest nation. Little wonder then that he was shown great favor by the God of our universe. As the prophets of old were shown the destiny of mankind, so was Washington shown the destiny of our nation. General Washington shown the destiny of our nation. General Washington had an unusual and profound spiritual experience in Valley Forge. He was given a vision of so momentous importance that it prompts the writing of this paper and the dissemination of this information to all concerned Americans. Washington told of the event shortly after it took place. It was repeated to his close confidantes and follow patriots during the 22 years he lived after its occurrence. And it has been carried in print from time to time over the past 200 years. However, since spiritual experiences tend to be ignored by secular historians, it has remained at times an obscurity. Thomas Jefferson best expressed the relationship between man's highest aspiration and the great Creator when he wrote, "God who gave us life, gave us liberty." Throughout history, as is well documented in Holy Scripture and readily attested to by millions of observant people, God has raised up individuals, usually temporal leaders, to fulfill the destiny of men and nations. It is the personal opinion of this writer that God moulded, inspired and directed George Washington. He was, indeed, chosen to be a special man, at a special time, for special purpose. Various accounts of George Washington's vision and prophecy all agree in content. There have been only minor variations in some details as the story was repeated over the years by those to whom it was related by General Washington. The place was Valley Forge, in the cold and bitter winter of 1777. Washington's army suffered several reverses and the situation was desperate. Food was scarce. The Continental Congress was not sending supplies or money. Some of the troops did not even have shoes to wear in the snow. Many soldiers were sick and dying from disease and exposure. Morale was at an all-time low and there was great agitation in the Colonies against continued effort to secure our freedom from England. Nevertheless, General Washington was determined to see the struggle through. These are the words of a first-hand observer, Anthony Sherman, who was there and describes the situation: "You doubtless heard the story of Washington's going to the thicket to pray in secret for aid and comfort from God, the interposition of whose Divine Providence brought us safely through the darkest days of tribulation." "One day, I remember it well, when the chilly winds whistled through the leafless trees, though the sky was cloudless and the sun shown brightly, he remained in his quarters nearly all the afternoon alone. When he came out, I noticed that his face was a shade paler than usual. There seemed to be something on his mind of more than ordinary importance. Returning just after dusk, he dispatched an orderly to the quarters who was presently in attendance. After a preliminary conversation of about an hour, Washington, gazing upon his companion with that strange look of dignity which he alone commanded, related the event that occurred that day." "Presently I heard a voice saying, `Son of the Republic, look and learn,' while at the same time my visitor extended her arm eastwardly, I now beheld a heavy white vapor at some distance rising fold upon fold. This gradually dissipated, and I looked upon a stranger scene. Before me lay spread out in one vast plain all the countries of the world - Europe, Asia, Africa and America. I saw rolling and tossing between Europe and America the billows of the Atlantic, and between Asia and America lay the Pacific. "`Son of the Republic,' said the same mysterious voice as before, `look and learn.' At that moment I beheld a dark, shadowy being, like an angel, standing or rather floating in mid-air, between Europe and America. Dipping water out of the ocean in the hollow of each hand, he sprinkled some upon America with his right hand, while with his left hand he cast some on Europe. Immediately a cloud raised from these countries, and joined in mid-ocean. For a while it remained stationary, and then moved slowly westward, until it enveloped America in its murky folds. Sharp flashes of lightning gleamed through it at intervals, and I heard the smothered groans and cries of the American people. COMMENT: This part of the vision is probably describing the war of Independence. "A second time the angel dipped water from the ocean, and sprinkled it out as before. The dark cloud was then drawn back to the ocean, in whose heaving billows in sank from view. A third time I heard the mysterious voice saying, `Son of the Republic, look and learn,' I cast my eyes upon America and beheld villages and towns and cities springing up one after another until the whole land from the Atlantic to the Pacific was dotted with them. "Again, I heard the mysterious voice say, `Son of the Republic, the end of the century cometh, look and learn.' At this the dark shadowy angel turned his face southward, and from Africa I saw an ill omened specter approach our land. It flitted slowly over every town and city of the latter. The inhabitants presently set themselves in battle array against each other. As I continued looking I saw a bright angel, on whose brow rested a crown of light, on which was traced the word `Union,' bearing the American flag which he placed between the divided nation, and said, `Remember ye are brethren.' Instantly, the inhabitants, casting from them their weapons became friends once more, and united around the National Standard. COMMENT: This part of the vision is most likely describing the Civil War over which involved the slave trade that was brought to America from Africa. "And again I heard the mysterious voice saying `Son of the Republic, look and learn.' At this the dark, shadowy angel placed a trumpet to his mouth, and blew three distinct blasts; and taking water from the ocean, he sprinkled it upon Europe, Asia and Africa. Then my eyes beheld a fearful scene: From each of these countries arose thick, black clouds that were soon joined into one. Throughout this mass there gleamed a dark red light by which I saw hordes of armed men, who, moving with the cloud, marched by land and sailed by sea to America. Our country was enveloped in this volume of cloud, and I saw these vast armies devastate the whole county and burn the villages, towns and cities that I beheld springing up. As my ears listened to the thundering of the cannon, clashing of sword, and the shouts and cries of millions in mortal combat, I heard again the mysterious voice saying, `Son of the Republic, look and learn.' When the voice had ceased, the dark shadowy angel placed his trumpet once more to his mouth, and blew a long and fearful blast. "Instantly a light as of a thousand suns shone down from above me, and pierced and broke into fragments the dark cloud which enveloped America. At the same moment the angel upon whose head still shone the word Union, and who bore our national flag in one hand and a sword in the other, descended from the heavens attended by legions of white spirits. These immediately joined the inhabitants of America, who I perceived were will nigh overcome, but who immediately taking courage again, closed up their broken ranks and renewed the battle. "Again, amid the fearful noise of the conflict, I heard the mysterious voice saying, `Son of the Republic, look and learn.' As the voice ceased, the shadowy angel for the last time dipped water from the ocean and sprinkled it upon America. Instantly the dark cloud rolled back, together with the armies it had brought, leaving the inhabitants of the land victorious! "The scene instantly began to fade and dissolve, and I at last saw nothing but the rising, curling vapor I at first beheld. This also disappearing, I found myself once more gazing upon the mysterious visitor, who, in the same voice I had heard before, said, `Son of the Republic, what you have seen is thus interpreted: Three great perils will come upon the Republic. The most fearful is the third, but in this greatest conflict the whole world united shall not prevail against her. Let every child of the Republic learn to live for his God, his land and the Union'. With these words the vision vanished, and I started from my seat and felt that I had seen a vision wherein had been shown to me the birth, progress, and destiny of the United States. This ended General George Washington's vision and prophecy for the United States of America as told in his words. We are now moving rapidly into the third and greatest peril of Washington's revelation. The signs of its fulfillment are readily evident to all who are not blinded by apathy, over indulgence, or self-delusion. Nations on every continent, under the political forces of Communism, are hostile to the United States. America has few friends left in the world and even fewer still who will have the strength or will to stand beside her in any future struggles. Lenin foretold the series of events: "First we will take Russia, next we will capture the nations of eastern Europe, then we will take the masses of Asia. Finally, we will surround the United States and that last bastion of freedom will fall into our hands like over-ripe fruit." In Washington's vision, he saw America attacked and invaded by vast military forces from Europe, Asia and Africa. He saw that with those forces there "gleamed a dark, red light" - the color and symbol of Communism. He saw our cities aflame (as a result of nuclear attack, burned by mobs fomenting anarchy and revolution); the whole nation devastated, and millions dying in mortal combat. America is the promised land. The Christian people of North America are God's chosen people. We will prevail because it is our destiny to prevail. But we have permitted corruption, perversion, immorality, greed, personal pleasure, and materialism to become our way of life. We have permitted alien, anti-Christians (Illuminati/Councel on Foriegn Relations) to gain control of our country. We have allowed traitors to hold the highest positions of authority within our nation. We have reached such a point of degradation that we are even killing our own unborn children - bringing about our own genocide. Therefore, because of immorality, loss of faith, and the abandonment of our God - centered heritage, America and her people will receive a chastisement of immeasurable ferocity. The events which you are reading about are neither fiction, a patriotic story, not a series of simple historical happenings. The authenticity of Washington's revelation is clearly supported by a number of other prophecies over the past several hundred years, all pointing to a great "end times" battle in which the forces of almost the entire world are directed against the United States. However, even at this late hour, responsible Americans can still rise up, remove the traitors and parasites from government, build a strong national defense, return our economy and money system to a firm base, wipe out the immorality and perversion which corrupts our people, set new standards of integrity and honor for the national character, and reverse the present suicidal course of the nation. If we do these things, we can still avoid much of the world-wide tragedy and suffering ahead, for there are many references in the Scripture that the punishment of the Lord may be withheld - if we believe, repent, work and fight if necessary; while we call upon Him for assistance. But if we, as a nation, do not urgently and with every means at our disposal, set ourselves to the task; then only those strong, righteous, and courageous individuals who prepare now-mentally, morally and physically-will survive. But we must act now. We are in the twelfth hour. There is no more time to waste. Good Americans must make a decision and a commitment now. Nevertheless, even if many others "heed not the watchman," be not afraid. Those who do hear and prepare shall survive "the word." Courageous and God-fearing Americans who are prepared to survive, yet willing to fight and die-for our families, our country, our civilization and our Lord - those Americans will prevail and live to build a new Republic which shall endure. Good will triumph over evil, even if He must intervene on behalf of His Remnant to make it so. George Washington, the greatest man ever to walk this continent, should serve as our example in these troubled times. Washington's selfless devotion to his Country, his total dedication to the Cause of Liberty, his blameless private life and high personal standards of morality and character-all made him universally loved and respected. He should be the hero and the model for every man and boy in America today. General Washington was a man of principle, wisdom, determination, and great courage. He was a God fearing man who prayed for direction, strength and support from the Almighty, and he accepted the purpose and destiny for which he was created. Washington also had the courage to take up arms and physically fight for his God and his country. He did not expect other men or the Creator to do it for him, nor did he foolishly think that some how God would pluck him from the scene so that he might avoid the hardships, suffering, and perhaps even death which were imminent. Good men, including dedicated Christians, have never escaped tribulation; but those, like Washington, who are prepared, are given the strength and protection to see it through. Finally, you the reader should be aware that at this very hour, the ground work is being laid to bring the conservative, Christian and patriotic people of this nation together so that they might be coordinated in a movement which will regain control of our own government and defend this nation against all enemies, foreign and domestic. Even now, the leaders of this movement are being gathered, tried, tested, and tempered for the work ahead, when righteous forces, assembled together, will bring ultimate victory to our people-so that, as the Angel proclaimed, "While the stars remain, and the heavens send down dew upon the earth, so long shall America last." Sons and Daughters of the Republic, you are living in the most crucial and momentous period in the history of mankind. It will be a time of great trial. The events foretold are not only foretold in George Washington's vision; but the Holy Bible as well and they are coming. There is no escape. The only question is whether or not you will have the judgment, courage, and sense of destiny to stand with those of us who already stand; for with the help of Almighty God and his son; Jesus Christ our savior, we shall be victorious! John Grady is a medical doctor whose professional career as a family physician includes ten years as medical examiner for the State's Attorney. He is a past state president of the Association of American Physicians and Surgeons. The author is a former U.S. Navy jet fighter pilot. He served three terms as mayor of Belle Glade, Florida, and in November of 1976 received over a million votes as a candidate for the U.S. Senate. Dr. Grady is a nationally recognized author and speaker who reflects the conservative, Christian, patriotic philosophy. His dedication to the cause of freedom has brought many honors including: Twice selected Florida Man of the Year (1970 and 1973) as "the foremost proponent of constitutional government in the State of Florida;" chosen U.S. Man of the year (1975-76) by the Congress of Freedom; Bicentennial Award 1976 by the V.F.W. ; Distinguished Service Award 1971 by the U.S. Jaycees; Patriots Award 1978 by We The People; Special Citation 1977 by the Florida Conservative Union; and was awarded the 1979 Medal of Honor by the Daughters of the American Revolution (DAR). Dr. Grady believes that the heritage, culture, freedom, and even the survival of the American people is in great jeopardy. Therefore, to help build a national movement to preserve the United States and Western Civilization, Dr. Grady now serves as president of the American Pistol & Rifle Association and chairman of the American Freedom Crusade. Published in the NATIONAL TRIBUNE, Vol.4, No.12, December "1880." The "first" publication was in "1859," almost two years before the "Civil War" started. By Wesley Bradshaw from the verbal account of ANTHONY SHERMAN, WHO at that time was the only living personage to whom George Washington had told the vision. "The last time I ever saw Anthony Sherman was on the 4th of July," 1849." in Independence Square. He was then ninety-one and becoming very feeble; but though so old, his dimming eyes rekindled as he looked at Independence Hall, which he said he had come to gaze upon once more before he was gathered home. "What time is it?" he said, raising his trembling eyes to the clock in the steeple, and endeavoring to shade the former with a trembling hand. "What time is it?" I can't see so well as I used to." "Half past three." "Come then," he continued, "let us go into the Hall; I want to tell you an incident in Washington's life - one which no one alive knows of except myself, and if you live you will before long see it verified." "From the opening of the revolution we experienced all phases of fortune – now good and now ill; at one time victorious, at another conquered. "One day - I remember well - the chilly wind whistled and howled through the leafless trees, though the sky was cloudless and the sun shining brightly, he remained in his quarters nearly the whole of the afternoon alone. When he came out I noticed that his face was a shade paler than usual and that there seemed to be something on his mind of more than ordinary importance. Returning just before dark he dispatched an orderly to the quarters of the officer I mentioned, who was presently in attendance. "I do not know whether it was owing to the anxiety of my mind or what, but this afternoon as I was sitting at this very table, engaged in preparing a dispatch, something in the apartment seemed to disturb me. "Looking up, I beheld standing exactly opposite me a singularly beautiful figure. So astonished was I - that it was some moments before I found language to inquire the cause of her presence. A second, third and fourth time did I repeat the question, but received no answer from my mysterious visitor. I began feeling as one dying, or rather to experience the sensation which I have sometimes imagined accompanied dissolution; I did not think, reason, or move: all were alike impossible, I was only conscious of gazing fixedly, vacantly at my companion. "Presently I heard a voice saying, 'Son of the Republic, look and learn!" While at the same time my visitor extended her arm and forefinger eastwardly I now beheld a heavy white vapor at some distance rising fold upon fold. This gradually disappeared, and I looked upon a strange scene. Before me lay stretched out in one vast plain all the countries of the world -Europe, Asia, Africa and America; I saw rolling between Europe and America the billows of the Atlantic, and between Asia and America lay the Pacific. "Son of the Republic," said the same mysterious voice as before, 'Look and learn! A century cometh - look and learn. "I cast my eyes upon America and beheld villages, towns and cities springing up one after an other until the whole land from the Atlantic to the Pacific was dotted with them. "Instantly the inhabitants, casting forth their weapons became friends once more and united around the national standard. And again I heard the mysterious voice, 'Son of the Republic, THE SECOND PERIL IS PASSED - look and learn!" "At this the dark and shadowy angel placed a trumpet to his mouth and blew distinct blasts. (SEE REVELATION Chapters 8 and 9) and taking water from the ocean, sprinkled it out upon Europe, Asia and Africa. "THEN MY EYES LOOKED UPON A FEARFUL SCENE! From each of these countries arose thick black clouds, which soon joined into one; AND THROUGH THIS MASS GLEAMED A DARK, RED LIGHT, ("RED" COMMUNISM) by which I saw hoards of armed men, who, moving with the cloud, marched by land and sailed by the sea to America, which country was presently enveloped in the volume of the cloud. AND I DIMLY SAW THESE VAST ARMIES DEVASTATE THE WHOLE COUNTRY, and pillage and burn the villages, cities and towns which I beheld springing up. As my ears listened to the thundering of cannon, clashing of swords, and shouts and cries of a million in mortal combat, I again heard the mysterious voice saying, 'Son of the Republic, look and learn.' When the voice had ceased, the dark shadowy angel placed his TRUMPET once more to his mouth, and blew a long fearful blast. "As the voice ceased, the shadowy angel for the last time, dipped water from the ocean and sprinkled it upon America. Instantly the dark cloud rolled back, together with the armies IT HAD BROUGHT, leaving the inhabitants of the land victorious. "Son of the Republic, what you have seen is thus interpreted: THREE PERILS WILL COME upon the Republic. The most fearful for her IS THE THIRD passing which the whole world united shall NEVER BE ABLE TO PREVAIL AGAINST HER. LET EVERY CHILD OF THE REPUBLIC LEARN TO LIVE FOR HIS GOD, HIS LAND AND UNION." Published in 1859 almost two (2) years BEFORE the Civil was started. "Behold, now it came to pass that soon after Moroni had sent his epistle unto the chief governor, he received an epistle from Pahoran, the chief governor. And these are the words which he received. And behold, I (Pahoran) have sent a proclamation throughout this part of the land; and behold, they are flocking to us daily, TO THEIR ARMS, IN DEFENSE OF THEIR COUNTRY AND THEIR FREEDOM. AND TO AVENGE OUR WRONGS, . . . they do fear us and durst NOT come out against us to battle. I, Pahoran, do not seek for power, save only to retain my judgment seat THAT I MAY PRESERVE THE RIGHTS AND THE LIBERTY OF MY PEOPLE. MY SOUL STANDETH FAST IN THAT LIBERTY IN THE WHICH GOD HATH MADE US FREE." (Alma 61:1,6, 7, 9) see 10-14 also! seat THAT I MAY PRESERVE THE RIGHTS AND THE LIBERTY OF MY PEOPLE. MY SOUL STANDETH FAST IN THAT LIBERTY IN THE WHICH GOD HATH MADE US FREE." (Alma 61:1,6, 7, 9) see 10-14 also! Isaiah 28:16 says: Therefore thus saith the Lord God, BEHOLD, I LAY IN ZION for a foundation A STONE, ("seer") A TRIED STONE, A PRECIOUS CORNER STONE, ("Christ") See 1 Corinthians 3:11 and Matthew 21:42-46) a sure foundation." Again Isaiah say’s: "And it shall come to pass IN THE LAST DAYS, THAT THE MOUNTAIN ("KINGDOM OF GOD") of the Lord's house SHALL BE ESTABLISHED IN THE TOP (TOP) of the mountains. (Isaiah 2:2) More than a mile; higher than Denver, known as the mile high City. AND Micah 4:1 says the same thing. THE KINGDOM OF GOD Box 1000, Parowan, Utah. 84761-1000 In the Last Days, In THE TOP of the mountains. COPY THIS AND SHARE IT WITH SOMEONE ELSE who wants to live on into the millennium. Urgent! Urgent! 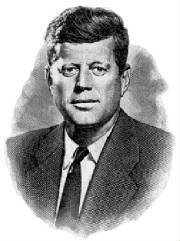 Listen to John F. Kennedy's Warning About Secret Societies Taking Over the World!